After being in sunny, warm Lima, Peru, in January for the Suzuki Festival and returning to winter in the U.S., I was looking forward to more tropical weather in El Salvador three weeks later. And I was not disappointed. Not only was the weather and the countryside beautiful and agreeable, but I was also pleased to see that the Suzuki program is flourishing and growing in this small Central American country. 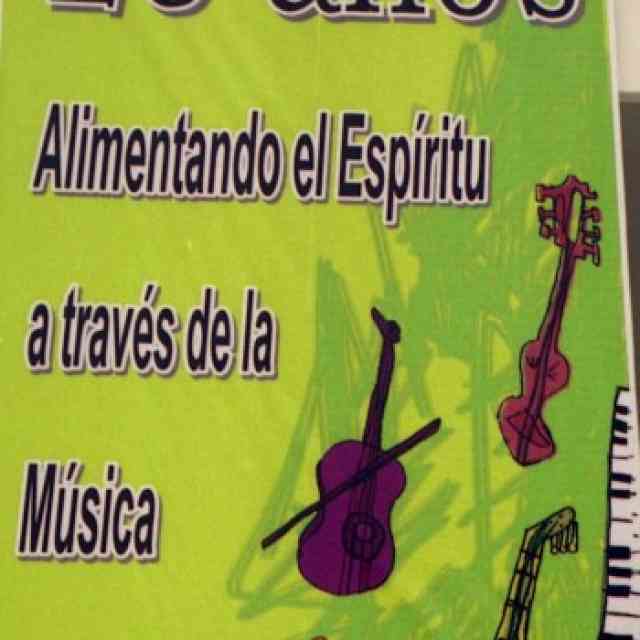 This was the fourth Festival in El Salvador, as they are programmed to happen every other year. Julio Rodriguez, the president of the Suzuki Association of El Salvador, along with his team of parents and teachers, put together a great event for all the participants. The Festival was held at the Holy Family School, a large facility that also had an excellent small auditorium for the opening play-in and closing concert. This school donated its use for the Festival which was very much appreciated. A wonderful vegetarian restaurant also donated lunches for the three teachers, and our rooms at a nice hotel were also donated. 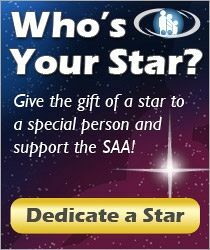 What wonderful, generous support is being exhibited for this Suzuki program! The teachers also got to see many of the local sights such as the artisan market, and we had lunch on Saturday high up on one of the volcanic mountains that surround San Salvador. I taught a Book 3 course for violin teachers and Andrea Cannon taught a Book 2 course for guitar teachers. We also taught children every afternoon. Julio had arranged for his former teacher Fernando Ruadales from Honduras, to come teach the most advanced violin group; they had a great time working on Fiocco Allegro and Pachelbel Canon, which were presented at the final concert. It was great to see and hear the progress of all the students and teachers. The Festival is a wonderful way for everyone to learn and celebrate the learning too! I was pleased to be a part of the Festival. 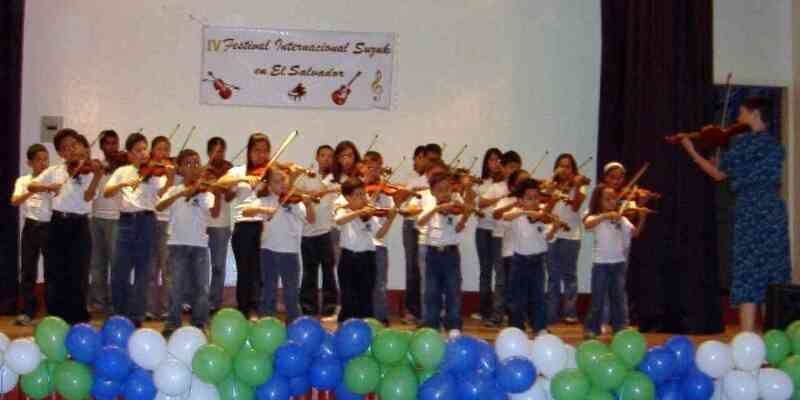 El Salvador Suzuki Festival, February 2007, final violin concert.